Sunstriders are members of the Galleria at Sunset's FREE Walking Group. We meet monthly to discuss health topics, get workout tips and demonstrations, tally monthly steps, win prizes, and enjoy snacks from our sponsors: Starbucks Coffee and Wetzel’s Pretzels. Join us – it’s FREE! 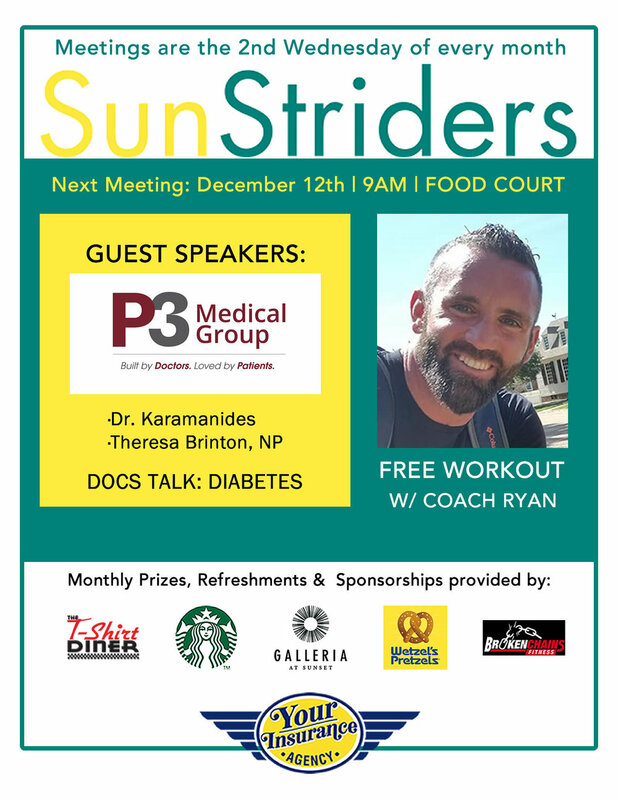 Join Dr. Karamanides and Theresa Brinton, NP from P3 Medical Group for an important discussion about diabetes. Learn about the mechanics of the disease, common symptoms and some of the best treatment options for patients based on their individual needs.